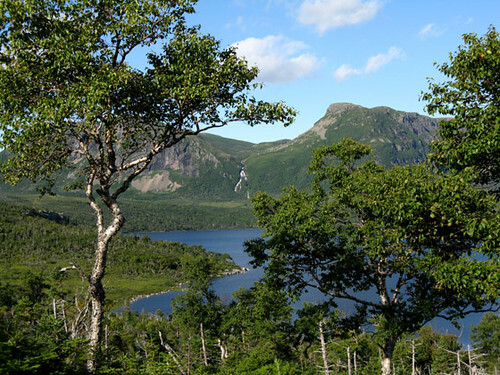 The Devil’s Bite Trail is a 45km (27miles) loop around the scenic fiords of the Parsons Pond watershed. Beginning at the trailhead south of Middle Brook between Parsons Pond Inner and Outer Ponds, the trail passes the 300m (1000ft) waterfalls of Western Brook (of Parsons Pond) Gulch on its way to a height of 500m (1650ft) before crossing past Five Island Falls to Parsons Pond Inner Pond Gulch. 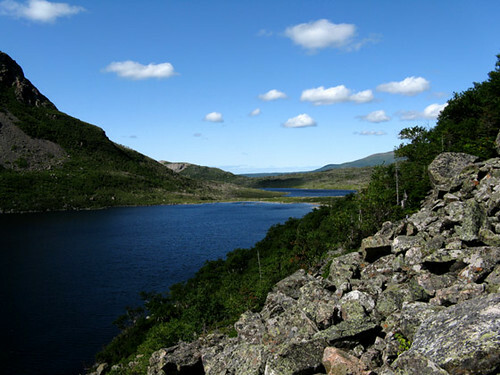 From there hikers can take an 8km (5mile) round trip side trek to the Devil’s Bite landmark. Said by locals to be created when the devil bit into the mountain precipice, it is visible throughout the loop from above and below. Winding its way into Inner Pond Valley the trail comes to beautiful Freake’s Falls. Crossing the stream above the falls hikers will climb the forested trail to the top of Parsons Pinnacle where they will earn a panoramic view of the surrounding mountains and valleys. Descending into and crossing the Corner Pond Valley the trail rises along the east rim above Inner Pond Gulch which affords unsurpassed views of Freake’s Falls and Pond. 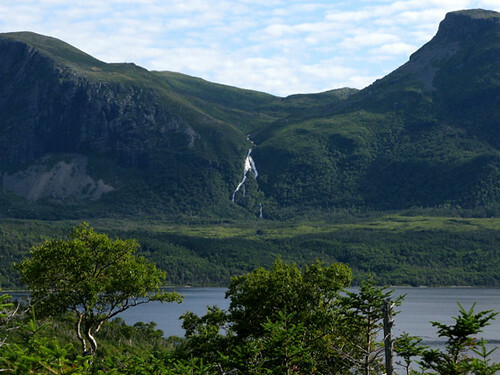 Once on top, hikers will be afforded additional views of Inner and Outer Ponds, the Devil’s Bite, and the distant gulf coastline from the sheer 600m (2000ft) cliffs. Leaving the heights of Parsons Pond Inner Pond the trail encircles Main Gulch and its fiord and coastal views on its way to the many lakes and terracing falls of Little Gulch. 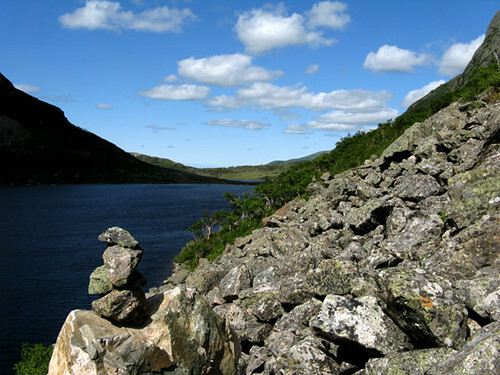 A short hike away is East Brook Gulch with its upper valleys, ponds and picturesque vantage points. From there the trail winds its way around and down the northern corner of East Brook Gulch while taking in outside in views of the Gulch and its waterfalls. 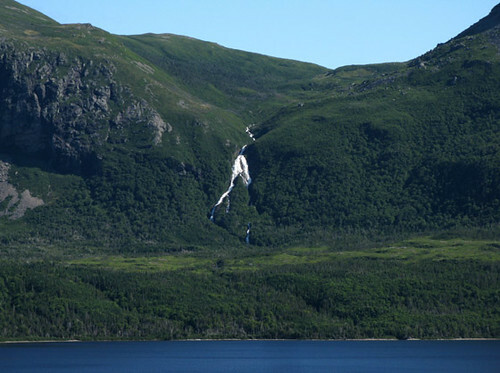 Steps away hikers can simultaneously view East Brook Gulch, Parsons Pond Inner and Outer Ponds and the gulf coastline. 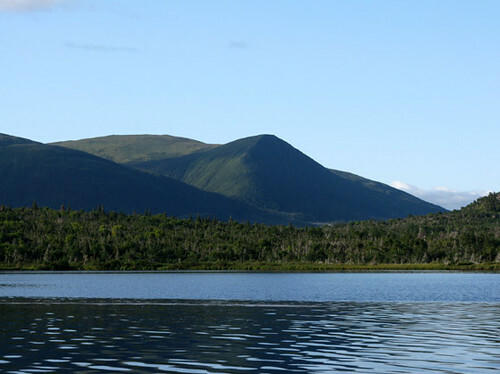 Winding its way down along the mountains and waterfalls to the idyllic shores and majestic vistas of Inner Pond, the trail once again comes in view of the mysterious Devil’s Bite before making its way back to Parsons Pond and the north Middle Brook trailhead. 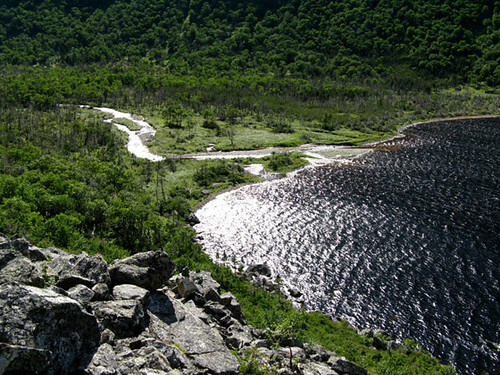 Access to the Devil’s Bite Trail is by a 14km (8.5mile) boat ride from the town of Parsons Pond, or by way of the Flat Hills link from Indian Lookout Trail. 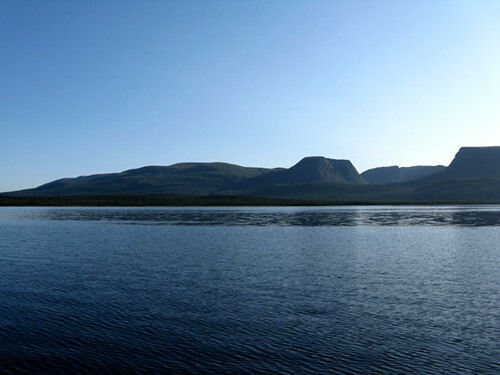 Boat rides can be arranged by the IATNL.